Executive Coaching - An Action Oriented Leadership Developmental Intervention | Business Article | MBA Skool-Study.Learn.Share. In today’s growing competitive world, there are many executives who possess the knowledge and expertise that their business demands but lack the leadership skills required to motivate and engage their teams. There are situations when there is a large scale organizational change or a change in the role or authority of the executive in consideration, when there are external pressures and challenges or when an outsider is hired for a senior level position. In all such cases, where an executive feels stressed and lacks the motivation to perform, organizations come up with ‘Executive Coaching’ as a solution. Executive Coaching is a Leadership Development Intervention wherein a CEO, a C-Level Executive or a manager seeks support and guidance from an expert so as to become a better leader or to help address the challenges that he might be facing in his organization. There are three parties involved in the process: the coach, the executive and the organization. The organization pays for the coaching services which aim not only to focus on the needs of the executive but also on the goals of the sponsoring organization. The International Coaching Federation (ICF), the largest umbrella organization which certifies and advocates for the coaching field, defines coaching as: "partnering with clients in a thought-provoking and creative process that inspires them to maximize their personal and professional potential." This definition applies to both executive and leadership coaching. Developing capabilities and new way of thinking that might be applied to other general situations. Developing skills and habits of self reflection which ensure that learning will continue even after the coaching ends. 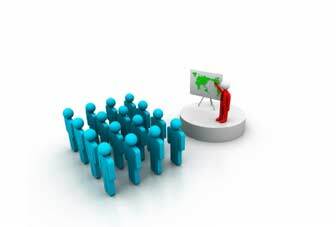 Executive Coaching enables the executives to learn from the experience of the executive coach. The coach doesn’t tell the executive what to do or how to think but help him develop by instilling in him the required leadership development skills, communication skills and execution strategies. An executive coach tries to be in that executive’s shoes to understand his problems and issues and then guides him to resolve them. The coach helps an executive focus on a specific area which might be a problem area for him. This helps in not just getting the results but in getting the most meaningful outcomes. Executive coaching involves interaction of the coach with the executives either face to face or via phone or email on a regular interval. Data gathering may be done through discussions and family interviews. The purpose of Executive Coaching is to help executives focus on the solutions rather than on the problems. Coaches keep their conversation levels at a high to avoid getting lost in the details and to help the executives move from insight to action. Hence they use concise action oriented methodologies such as 360 feedback, behavioural assessments, neuroscience research, tools for self discovery etc. in the coaching process. The one on one executive coaching ensures clarity of thought to help business leaders maximize their potential and deliver peak performance leading to desired results. Time frame required for its successful implementation varies from organization to organization based on the context and the level of executive and gravity of his problems. Generally, coaching interventions last for about 9-12 months. They are generally 4 weeks apart and are of 60-90 minutes duration. It helps a business grow and strengthen from within, reducing the need of hiring upper management from outside. It not only has a fairly immediate impact on executives but also on the bottom line of organization. It helps executives deal with the stress and pressures of the work environment and the way it impacts their personal lives. Executive coaches are not involved in office politics as well as are free from the perceptions that others in the office have about the executive. They are totally unbiased and objective. Hence, they give their free and genuine feedback to the executives. Hence, the process is much more effective. Executive coaching happens in real time without taking leaders away from their day to day responsibilities as the coach works with the leader to give insight in how to improve skills pertaining to a particular situation in front of him. Executive coaching can bring about a positive trickledown effect i.e. the executives who develop their skills can further coach and mentor their subordinates using the same techniques. If the process is followed at all levels, this approach can benefit the whole organisation. It is a powerful tool leading an organisation to profitability and executives to greater leadership, empowerment and professional fulfilment. Executive coaching provides a timely, confidential, independent and an individually focused developmental support to the executives which results into a trusting relationship between the coach and the coachee. This relationship brings about a strong accountability which converts their good intentions to actions. The support received by executives helps in their retention in the organization. Even though the coach, the executive and the organization agree upon a certain parameters for coaching, the outcomes of coaching cannot be really controlled by anyone. There is a risk that coaching experience might lead the executive astray from his intended organizational path. If the desired outcomes are not received, the efforts and cost incurred in this approach would go waste. There might be personality conflicts between the coach and the executive which might result in resistance to change. As a result, the coach and the executive might not connect well. Sometimes the coach tends to give direct advice which might not be acceptable to the executive. In such cases, coaching is avoided by executives. Matching the expectations of executives is one of the major challenges of executive coaching. Executive coach might not have sufficient knowledge about the company, its culture or about the executive. Continuity might be a problem as the coach might not be available all the time. Many organizations see executive coaching as a means to improve the skills of their most important leaders. Common belief is that one on one interaction with an objective qualified third party, under the right circumstances can provide a focus which other forms of organizational support might not. Agilent, Nokia and Ericsson are some of the major companies who have included coaching as a core part of Executive development. IBM has more than 60 certified coaches among its rank worldwide. Even Microsoft has trained coaches in many locations. Also, renowned financial institutions such as Goldman Sachs and JP Morgan, technology companies such as Philips and Lockheed Martin, WHO have also used Executive Coaching as a Leadership Development Intervention. Earlier, Executive coaching was seen as taboo, as a sign to help a weak performing executive or a senior manager but with time executive coaching has evolved as a leadership development tool even for the top performers who have the potential to improve. Hence it is used for a broad range of senior executives, both individually and as teams and is seen as one of the most concrete, practical and action oriented leadership developmental interventions.